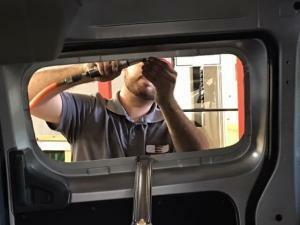 When you are in need of repair, replacement or installation of custom conversion van windows, call Mike’s Auto Glass. 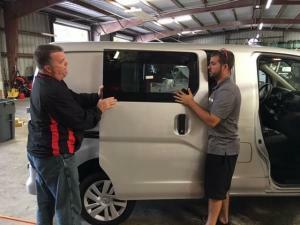 Mike’s Auto Glass offers all of your window service needs for your custom conversion van. The windows of a custom conversion van come in many different shapes and sizes. 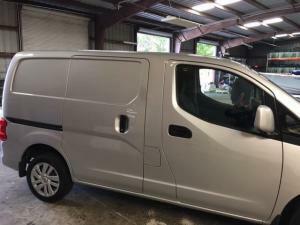 Although many of these windows may appear to be the same or may have the same measurements, custom van conversion windows made by one manufacturer may slightly differ from those of another manufacturer. Things like frame widths, glass opening heights and radius measurements can result in an imperfect fit. At Mike’s Auto Glass, we offer repair or replacement services for late models, classic, foreign or domestic conversion vans. If you are looking into customizing your own luxury conversion van, look no further. 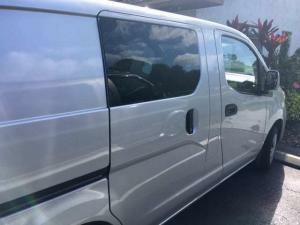 Mike’s Auto Glass can also take cargo vans, cut out areas and install windows into the doors. Servicing Fort Myers, Naples, Cape Coral, Sarasota, Bradenton, Punta Gorda and North Port.